The Boeing 747, the original jumbo jet that was the favorite American presidents and key to affordable mass market air travel in the United States, will pass into aviation history this week. Nearly 50 years after the its debut, the 747 will take its final commercial flight with an American carrier Tuesday on Delta Air Lines' Seoul-to-Detroit route. It "made flying available for everyone," said Boeing chief company historian Michael Lombardi said of the iconic jet. 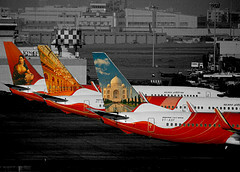 "The 747 gave wings to the world." Aerospace consultant Michel Merluzeau said the plane changed travel. "All of a sudden, you could go from Singapore to London in less than 24 hours. It made everything more accessible." Delta's sendoff for the storied aircraft includes special flights on Wednesday for employees and top customers. Ticket prices for these "farewell tour" flights have soared owing to demand from nostalgic consumers. The Queen of the Skies isn’t quite ready to relinquish her throne at Delta Air Lines. The carrier’s last regularly scheduled U.S. departure of its Boeing 747-400 jumbo jet had been scheduled for Sunday afternoon to Seoul, South Korea. But a last-minute crew issue got in the way, pushing the 747's final U.S. departure back by a day. "Delta's expected last scheduled flight of the 747 was unfortunately cancelled Sunday due to an inability to fully staff the flight with its required four pilots," Delta said in a statement. The airline said it provided lodging and hotel rooms to those booked on the flights, adding it "exhausted all options to prevent the cancellation and apologizes to the customers delayed and inconvenienced." Do they have any B77W or how are they planning to make up for B747's loss? Will they be getting A350s fast enough? Delta Air Lines concluded its farewell tour for the Boeing 747 at Minneapolis/St Paul International airport today, a fitting finale for the queen of the skies at the former home of Northwest Airlines. Flight DL9771 arrived from Atlanta at 12:50 local time, landing on runway 12R/30L after a low pass at 45ft over the Minneapolis/St Paul airport to mark the final arrival. The flight was a homecoming for the 747-400 (registration N674US, MSN 30269), which was delivered new to Northwest in 1999, Flight Fleets Analyzer shows. 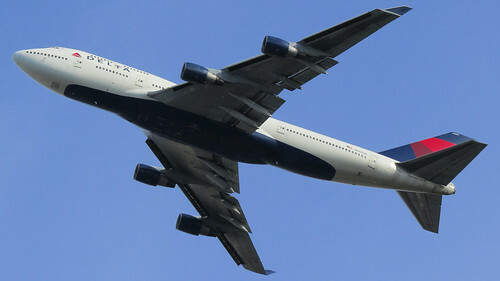 The aircraft, along with 15 more 747-400s, joined Delta's fleet when it merged with Northwest in 2009. The arrival in Minneapolis/St Paul came a day after regularly scheduled passenger 747 flights ended in the USA, with Delta's final flight from Seoul Incheon to Detroit. The airline will operate a number of jumbo jet charters with its last four 747-400s through 3 January before retiring the type to the desert. "We love this darn airplane, everything about it," Delta's chief pilot for the 747 fleet captain Steve Hanlon told FlightGlobal after landing in Minneapolis. "It was fun to be flying again but it was sad – it's a melancholy feeling." Hanlon will begin training on the Airbus A350-900, which Delta describes at its new flagship, in January, he says. "People ask me what I do and I tell them I used to drive an 18-wheeler. Now I will drive a bus," says Hanlon on his transition to the Airbus aircraft. Despite the melancholy feeling, Delta expects the shift to the A350 to be "immediately accretive into the Pacific operations with much, much better efficiency and much better revenue performance", executives said in October. The airline debuted the widebody twin-jet on flights between Detroit and Tokyo in November. It expects to end the year with five A350s in its fleet. 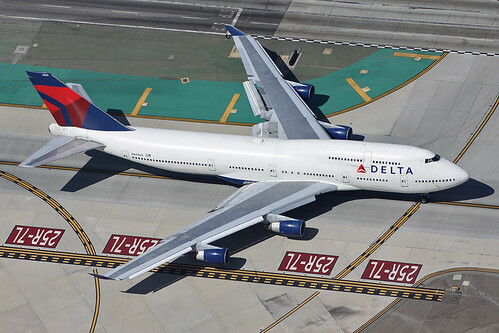 Delta celebrated its 747 history with its "All Hail The Queen" farewell tour for employees and select frequent fliers. The tour took the jumbo jet from Detroit to Paine Field where it was assembled, Seattle Tacoma, Atlanta, Los Angeles and finally Minneapolis/St Paul. Flight DL9771 carried 321 passengers who were excited to celebrate the 747s storied history. After a champagne toast to mark the final flight, passengers were able to explore the aircraft and participate in jumbo jet-themed trivia. They marked the melancholy arrival in Minneapolis with applause before deplaning.